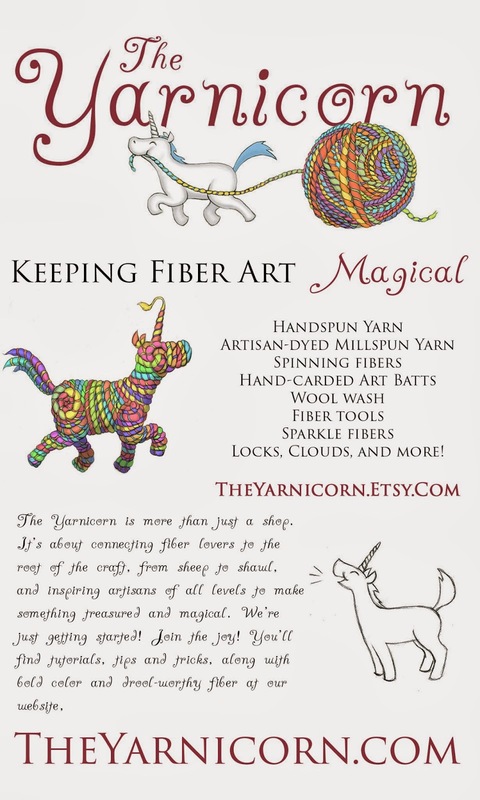 2014 Homespun Yarn Party sponsor - The Yarnicorn - will be opening in August 2014. For the last two years, we've run The Longest Thread Competition at Homespun Yarn Party. Its been such a hit, that we’re doing it again! Don't know how to spin on a drop spindle? We will teach you! We'll offer classes on knitting, crochet, and drop spindle throughout the day. Yarn and loaner hooks/needles for knit and crochet lessons will be provided - for the spinning lessons, you can purchase some fiber and a spindle from one of our lovely vendors or bring your own. Classes are held at the center tables. Don't forget to bring your hats for Alternative House and if you have any extra yarn you'd like to donate, Claire will be happy to take it off your hands at the Knitters and Crocheters Care table. You can read more about this year's project here. Finally, we'll have HYP tote bags, project bags, buttons and other fun goodies for sale at the HYP swag table just inside the door. If you don't have a swift and ball winder at home, or if you just can't wait to start working with your new purchases, we will offer winding for $2 a skein at the HYP Winding Station. All proceeds support future Homespun Yarn Party events. Weather permitting, the deck will be available to hang out and socialize if you need a break from shopping. If the deck is open, we'll also have some fun demos including wheel spinning and a vintage sock machine. Keep your fingers crossed for lovely weather, but our vendors are all indoors so we are mud-free and dry, rain or shine! Hours: Tues., Thur., Fri. 11a-6:30p Wed. 1p-8p Sat. 10a-5p Closed on Sun. and Mon. The Knitting Loft carries yarns and notions for knitting and crocheting. 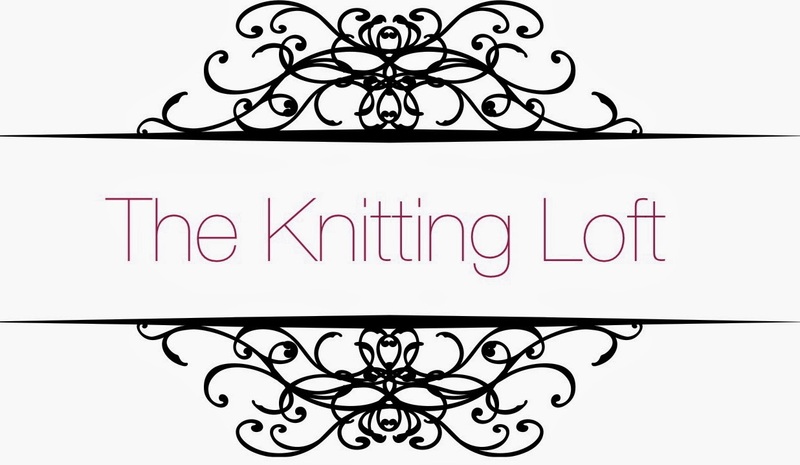 The Knitting Loft has been open since August 2012. My favorite thing about having a LYS is that it allows me to meet fiber artists from all over the world. I enjoy that most of all. 2. What kinds of things do you carry? The shop will launch in August 2014, and will carry batts, top, roving from local mills, locks, sparkle, rolags, handspun yarn, hand-dyed millspun yarn, wool wash, fiber tools and more. In addition, there will be lots of tutorials, giveaways and reviews on the blog and Facebook page. 3. How long have you been in business, and what inspired you to open your business? I started my first business, BabesterArts, on a whim. Like most who venture down the rabbit hole of spinning, I was totally smitten by the art. After a few years of shop ownership, I decided to rebrand BabesterArts as a kid-centric shop, and started working toward the launch of The Yarnicorn, which will be my yarn and fiber shop. Having spent a few years in business for myself, I now have a much better idea of what works and what doesn't, and my art has improved a great deal. I hope to continue to learn and refine my work as I launch the new shop, and am really looking forward to sharing what I've learned so far. 4. What's your favorite thing about owning your business? I think my favorite thing is also the hardest thing: the lack of rules. It's wonderful to have complete freedom to make and sell whatever interests me, and to work when and how I please. It's also terrifying! It takes a lot of courage to open a shop of any kind, and an extra dose of courage to sell handmade art. I don't have a business degree, so there has been a lot of "on the fly" knowledge acquisition. Learning over the past several years to self-critique, review, and edit my work has been a great development for me, personally and professionally. Thankfully, I've also developed many wonderful connections to the fiber arts community, and have had the gift of several great mentors. While I would love to say that I have found a clear definition of my art and my work, I feel I'm still pushing my limits and looking for my own distinct style. Sometimes, that means breaking the fiber/spinning/color rules, sometimes it just means staying up way past my bedtime. There is so much to learn and experience in the fiber arts; I'll never be bored! I work hard, but I also try to keep my sense of wonder and playfulness. Working with fiber can be magical, and I look forward to sharing my enthusiasm for the art with other fiber lovers. Doing all that while running a business that supports my family AND having as much fun as I do probably breaks all the rules, and I love it! Sponsor Profile: Nature's Yarns, Inc.
2014: Tempting Ewe Yarns, Inc.